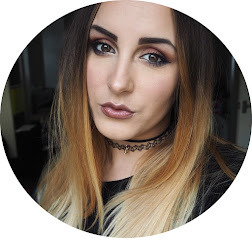 I’m not one to change my makeup as the seasons change, if I want to rock a berry lip in summer then I will but I do love the fact that all the sparkle and smokey eyes can make an appearance throughout the ‘Party’ season and Winter is very well known for browns and neutral colours with perhaps a bit more of a focus on lips! 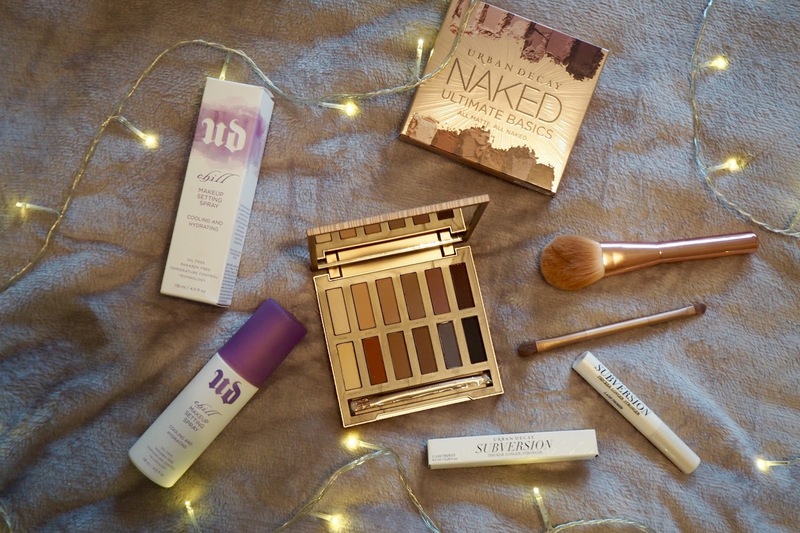 I’m a massive fan of Urban Decay and have all 3 Naked palettes so when the new Naked Ultimate Basics palette came out, I just knew that I had to add it to my collection and as for what I said about the smokey eyes, it’s the best selection of colours to give you that! With 12 Matte shades including a gorgeous burnt orange and plum colour, you can be sure that you can go from Office dread to Party Glam in a matter of swift brush stokes! Unlike the other Naked palettes, there are no shimmer shades in the Ultimate Basics which I kinda like but I kinda wish there was one or two, perhaps highlighting shimmers which would completely finish the entire look off. What I usually do, however, is apply a tiny it of shimmer glitter from the Charlotte Tilbury Dolce Vita palette which can give it a bit of glam rather than matte smokiness and I’m good to go! 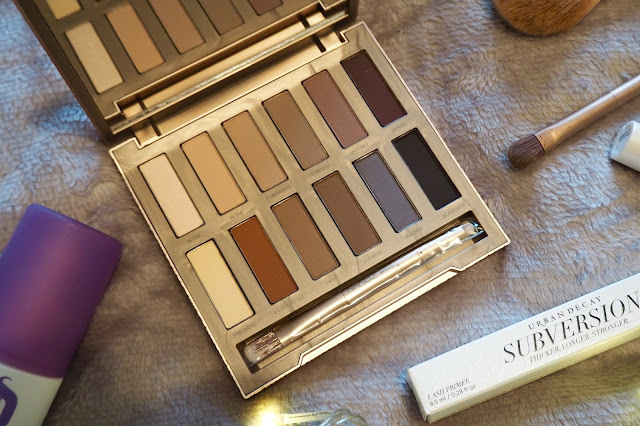 If you know an Urban Decay lover, this palette will be on their Christmas list, guaranteed! Along with eyes, comes lashes! I love trying new mascara’s but what I was yet to try was a lash primer... I think I had a dual ended one years and years ago which just clumped my lashes together (of course that was the going trend back in 2002!) 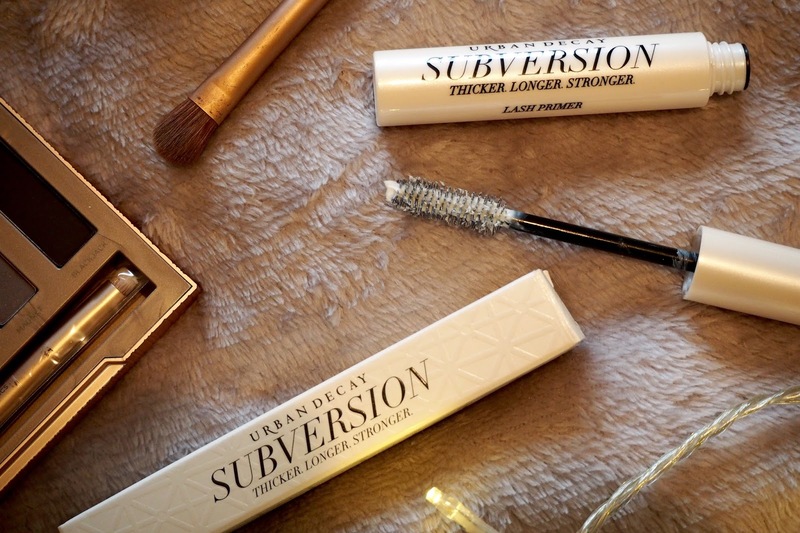 so when I saw this Subversion lash primer, the baby to the Perversion mascara, I just had to try it! If you’re a lover of big lashes but don’t want the fuss of falsies, then maybe primer is the way forward... A few strokes of this white primer makes your lashes longer and prepped for the coating of mascara. I used my Rollerlash Mascara from Benefit after applying just one coat of Subversion and I was very impressed with the results! The Perversion mascara is next on my list to try and buy, to see how they work as a duo. With any makeup look, especially if it’s going to get you through 6 hours of Christmas partying, dinners and cocktails and numerous games of Pie Face or even a trip to the garden centre battling wind, rain and snow, you’re going to need something that ensures your face doesn’t melt like the chocolate on the pudding! I’ve heard such good things about the UD ‘Chill’ setting spray so knew that it was going to be a saviour throughout winter and Christmas. The oil free setting spray is perfect for anyone with oily skin and is used in a few simple spritz’ once your makeup has been applied. The Temperature control technology actually chills your makeup helping it stay in place for up to 12 hours! 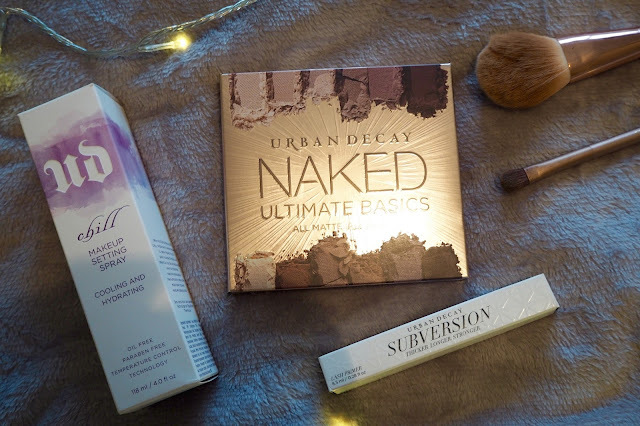 So if you’re either looking for some new bits of makeup to try out this season or you’re on the hunt for some gifts for a makeup loving friend, then head over to Urban Decay and take a look at what else they have on offer! I need this palette in my life! That burnt orange is stunning. that palette is a great one for xmas gift! the burnt orange shade is stunning! I love that the palette is matte - it makes a change to the shimmer shades I've been using this month!